Yay, it's Christmas in July over CAS-ual Stamps Blog. We are sharing our projects with this new set called "Naughty Or Nice"
I did some simple embossing and stamping. The only hidden part was that I used the back of the sentiment and stamped the subtle inking for the background. The red button was um-intended, but when I was looking for embellishments, that button seems to be perfect! 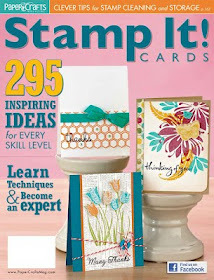 Please stop by CAS-ual Fridays Stamps Blog and leave a comment for a chance to win yourself a set! Thanks for stopping by! 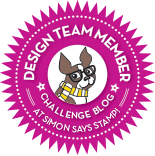 It's Day 3 over CAS-ual Fridays Stamp Blog! 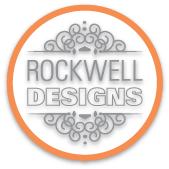 We are showcasing the new Oval Tag Die with you! Isn't this oval die handy? I am going to find it so useful making the gift labels! 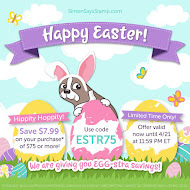 Please be sure to stop by at CAS-ual Fridays Stamps and leave a comment. You just might be the lucky winner to get a new set! Thanks for stopping by! In this card, I stamped the leafy image from Beanstalks and embossed the sentiment (from Bold Wishes) over the Bubble Label diecut. With two small silver brads, this card is complete! First of all, thank you so much for stopping by! The past few Mondays with the FSS posts are simply fun and awesome! 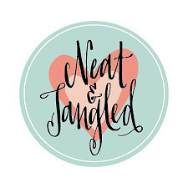 I had been enjoying reading your comments over Fresh Squeezed Stamps Blog! 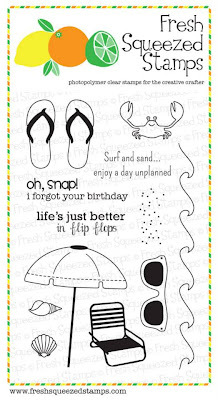 Well, since we are in the middle of summer, why not share a truly summery card? Nothing says summer like flip flops and neon colors!? This is my 2nd post for today. For CAS-ual Fridays' new DIE release , please click here or scroll down. My last minute dash to join the fun over little tangles.. Recently I bought a sheet of cork paper from Michael's (it costs $3.49 a sheet). Basically it's a paper-like sheet of cork. I couldn't pass up the chance to play with the wood-theme challenge. Due to my limited collections of Neat and Tangles Stamps, I decided to use the Christmas Sweet Home set. I had made cards with this holiday set before. It works well as an all-occasion/house-warming card, too! It's great to try something new...emboss the house image in white on cork! What's appealing to me about card-making is that there are so many different techniques and supplies to try and experiment.I'm sure you'd agree! 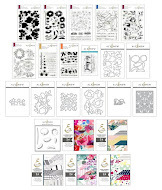 Check this out---Loving Bloom die! The best thing about this die, you can cut out multiples and fit them like a puzzle (like I do here)! Or you can create 3-D projects since adding dimensions is effortless! Putting this card together was a lot of fun!I stamped the background with Zigs and Zags. The added Liquid Pearls are easy and they do look awesome, huh? Please be sure to stop by at CAS-ual Fridays Stamps and leave a comment. The comment feature in this post has been turn off. You just might be the lucky winner to get a new die set! 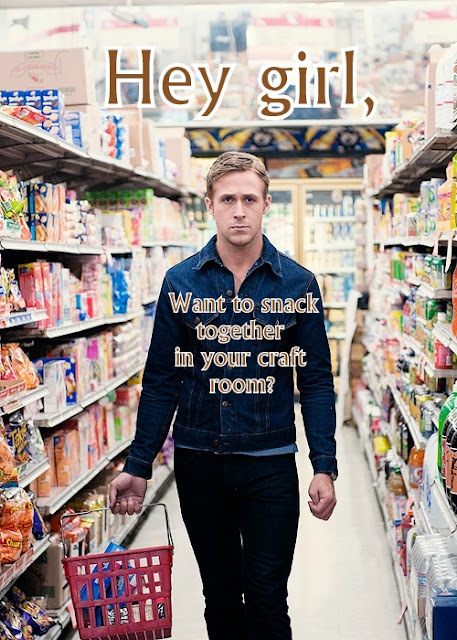 I find the Tuesday Trigger so enticing and I just HAD to make a card! I more or less followed the color palette and created a colorful background. There could be a lot of possibilities with this inspiring photo. I thought of making them with jars...but I already made a lot of cards with jars! Thus, this is my simple interpretation. With the black-embossed sentiment on vellum, this card is done! Thanks for stopping by! Hello Friday! 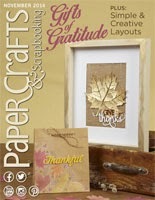 It's my turn to share some projects with you over CAS-ual Fridays Stamps Blog. 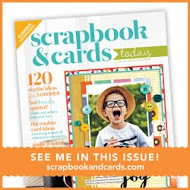 This is one of the three cards that I share over CAS-ual Fridays Stamps Blog. I started out making a regular card. But after stamping the border around the card stock, I realized that it would be fun to make a photo card! The photo of my nephew's daughter Apphia is SO cute. I added extra flowers and links as the embellishments. 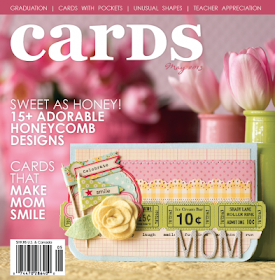 The yellow scalloped borders are from SRM Stickers. 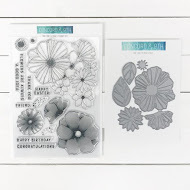 Would you like to see how I used this same stamp set (Lotsa Links) for another totally different cards? Two more cards for you to see over the CAS-ual Fridays Stamp Blog. 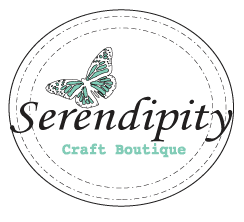 Please stop by here and check them out! Thanks for stopping by! I love the little cute crab image from Beachy Keen and created a little scene card. 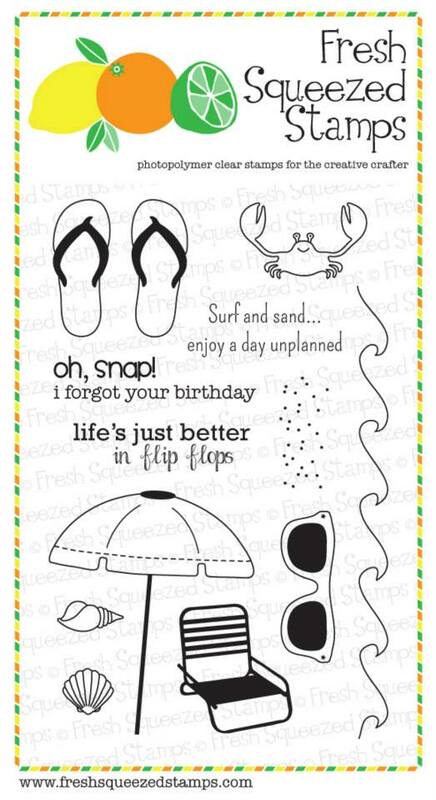 Please stop by Fresh Squeezed Stamps for more inspiration. 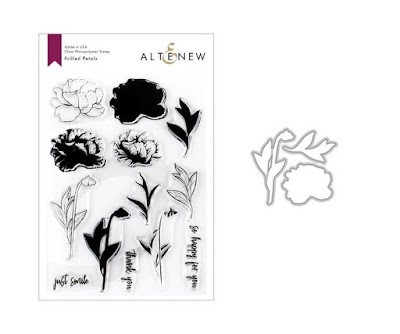 While you are there, make sure you enter a comment for a chance to win this awesome stamp set! Welcome to Hero Hostess Blog Hop! If you come from Nancy (Happy Heart Studio), then you are at the right place. If you just join the hop, you can visit Hero Arts Blog for all the party blog hops. 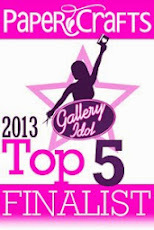 Hero Arts will give out three prizes for this blog hop that runs from July 22-26. Be sure to leave a comment in each hop for your chance to win some new Hero Arts Stamps! How cool is that!? Because it is summer picnic-themed, I decided to create a bright and fun card for this special occasion. Here is my card. About this card: I decided to combine blue ink splatter (from Mister Huey) with the beautiful Hero Arts inks (top to bottom: Cornflower, Pale Tomato, Soft Sand, Butter Bar, Splash, Soft Sand) . I chose to focus on using sentiment. The card stock and clear buttons are from Hero Arts. The best thing about these new stamps with inks/paint/splashes ( see here) is that they make artsy-looking card EFFORTLESS! The sky is the limit! 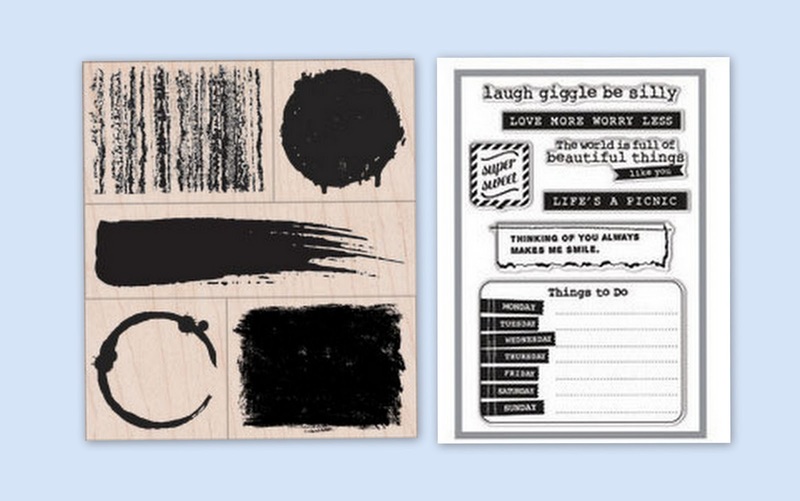 The two stamp sets I used---Textures and Shape and Be Silly. They don't seem like they belong together....however, they totally worked! 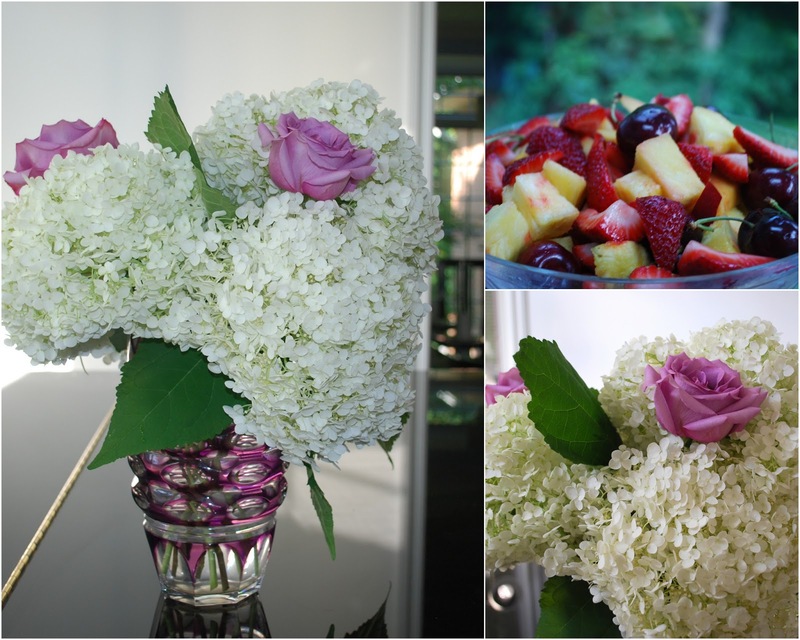 We can not go without sharing a summer treat for the picnic! In my house, Lemon Squares are the most frequent treats we have! It's simply because my son David LOVES to bake everything and anything lemon. 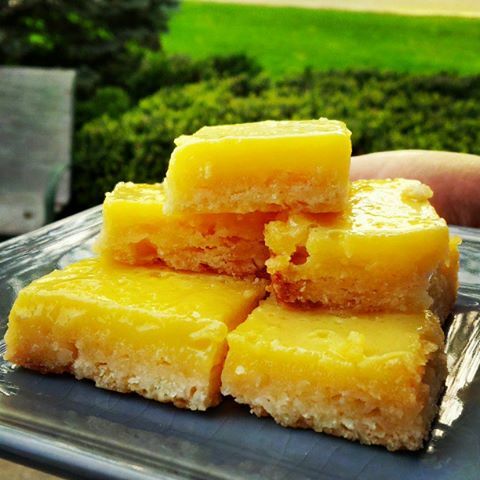 This is the actual photo of David's Lemon Squares (from Martha Stewart). You can see recipe here. I hope you get a taste of summer with a treat like Lemon Squares! Now your next hop will be to Sue's (Inky Finger). I know she has something fun prepared for you! If you are lost in the hops, here is the master list! Enjoy the rest of the picnic! Happy Wednesday! Today we are revealing another new stamp set called Sublime Citrus. Please stop by Fresh Squeezed Stamps for more inspiration. 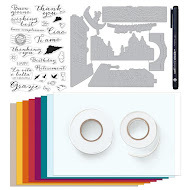 While you are there, make sure you enter a comment for a chance to win this awesome stamp set! The comment feature in this post has been turned off. Thanks for stopping by! Over Fresh Squeezed Stamps, we are having the first day of new stamp release. The featured stamp set is called "Everyday Expressions"
I did some simple stamping for this card. The little "hills" were done with masking by using the leaf stamp that comes with this set. The images in this set are very versatile and easy to use. I have since made a few more cards with this set! Please stop by Fresh Squeezed Stamps for more inspiration from the DT. While you are there, be sure to enter a comment for a chance to win this awesome stamp set! Just popping in to share a quick card that I made THIS morning! And yes, you can say it's freshly squeezed! After seeing Jackie's latest color (Nectarine), I can't help created one! You can see all the details here! This card measures 4 1/4" x 4 1/4" and it's one-layer! I have lots planned for this week! 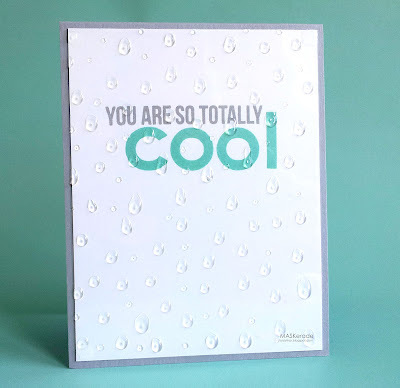 There will be 3 days of new Fresh Squeezed Stamps' new Release posts, Hero Hostess Blog hop (on Wednesday) and then more cards from CAS-ual Fridays! Thanks for stopping by! 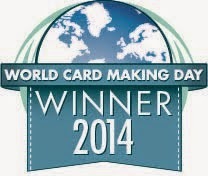 No cards today! Just sharing some random photos from my household. On July 1st, David and I went strawberry picking in the nearby farm to celebrate Canada Day! 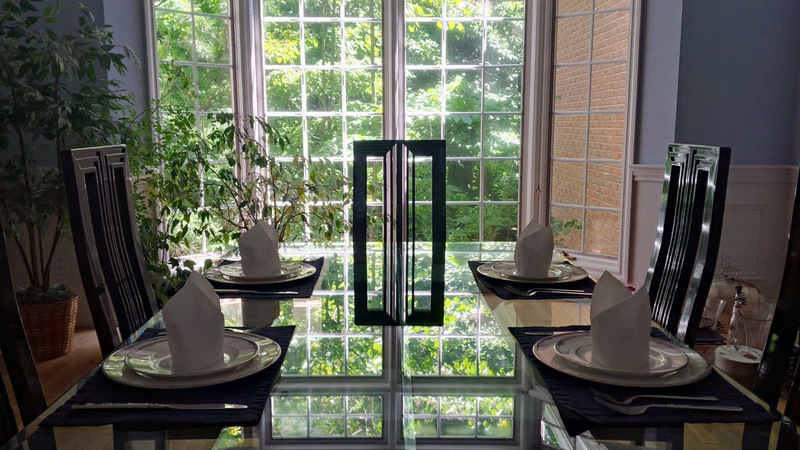 We had a small dinner party last night. Dr. John set up the table...love his napkin folding! 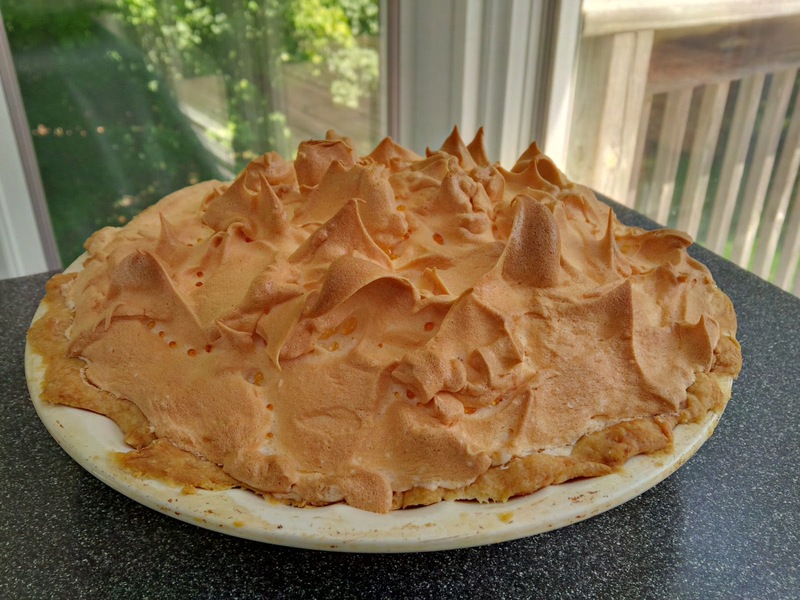 David made his Lemon Meringue Pie for the guests! 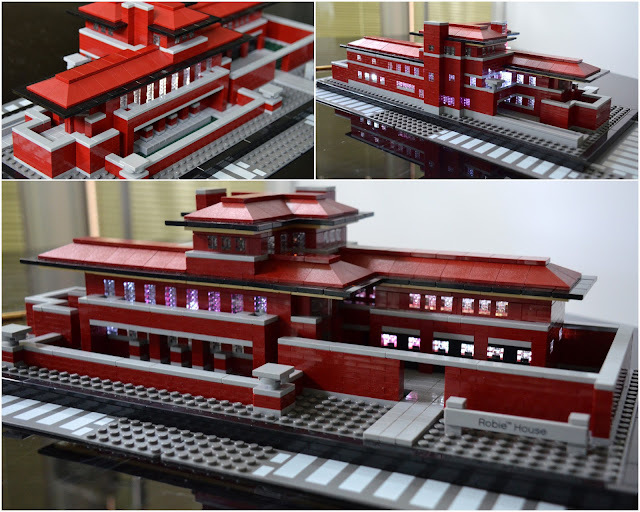 This is Dr. John's latest Lego structures (Robie House). I know he wants to visit the real Robie House in Chicago. He even put a small flash light inside the Robie House, so the house looks lit up! And this was what's on the menu last night...something GOOD, but simple to make. baked salmon fillet (with ginger garlic, soy sauce and sesame oil). beef tenderloin (rosemary leaves, olive oil, steak spice), baked sweet potato and stir fry vegetables. And...let's not forget the fresh flowers and fruit! 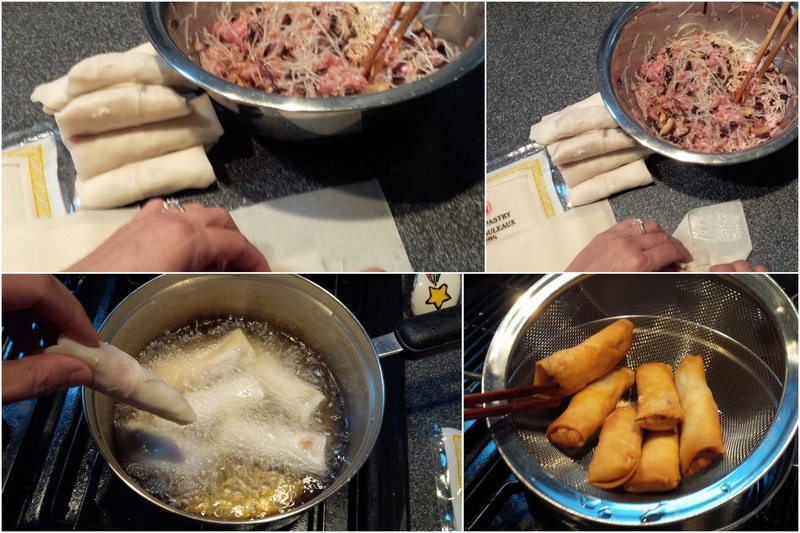 I also made Spring Rolls with shrimps for the appetizers! Those are 'killers"! YUM! These are the shrimp rolls...waiting to be deep-fried! 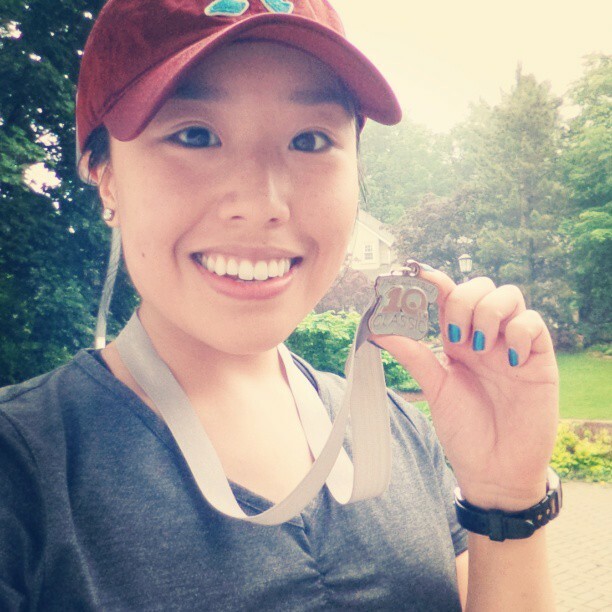 A few weeks ago, my daughter completed her first 10 K run under an hour- met her target time! 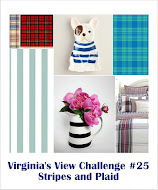 Today I am sharing a card based on the colors of Jackie Rockwell's Challenge. 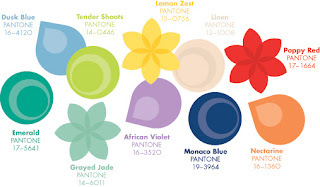 Here are the details of the current color challenge. The color palette I chose is Tender Shoot. Jackie is awarding a random winner for a new blog header design! The challenge is to make a card using one of the Spring 2013 Pantone colors. The challenge will be open until September 22nd. 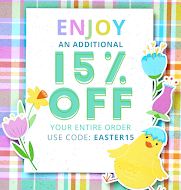 You have lots of time to join the fun! Stamps: Brush and Textures by Hero arts, (sentiment) Big wish by CAS-ual Fridays Stamps, sequins, Inks are from Hero Arts, TH Distress inks. 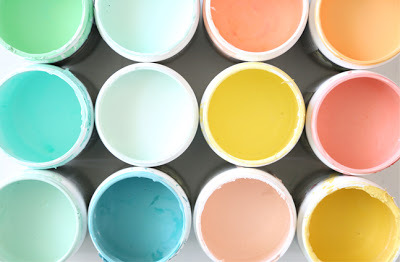 I have tried to match the green/grey (based on Jackie's blog header) in the color chart. It was not easy to get that particular green for me...alas, that's why it's a challenge, I guess (LOL)! 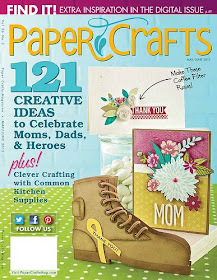 I am also entering this for the Birthday Celebration challenge over Moxie Fab World. 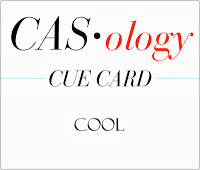 Just be cool--that is the sentiment of my card today! Hello, friends! I hope you are staying cool. It has been hot, hot, hot here in my part of Canada. I am NOT complaining though! 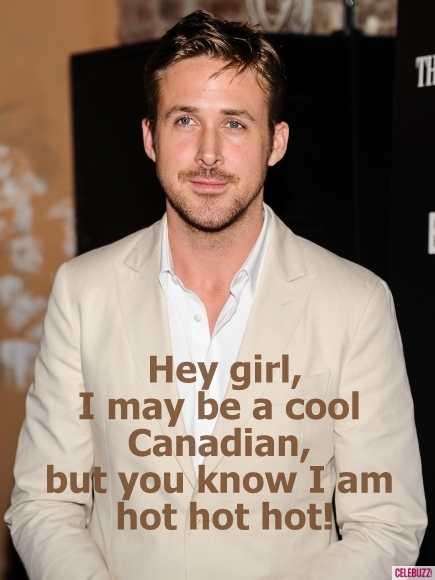 Canadians are well-known for their coolness (just ask Ryan Gosling!)! I am doing my part to share a cool card that was inspired by my uber talented fellow Canadian cardmaker Ardyth. Her card over CASology left me in awe and I just had to CASE it! You can find out more details about Ardyth's coolest card over her blog MASKerade. Aren't these cotton candy (which look like ice cream to me) COOL? By using Glossy Accent (with a guide of a toothpick), I was able to create the melting effect! Thanks for the inspiration, Ardyth! Again, Ryan knows what COOL factors he has. Just sharing a card that I made a while ago. I was playing alcohol inks and experimented it with glassine bags...and totally forgot to post here. That's the beauty of playing with alcohol inks. It's like opening a box of chocolate--you never know what you are gonna get! In this case, I love the burst of colors on the glassine bags! Wishing you a day filled with love! It's Runway Inspired Challenge time! Supplies: On Trend 2013 and The Envelope, Please (Fresh Squeezed Stamps), sequins (from Michael's). I took a literal approach and stamped a background. I love the not-so random stamping with small stamps and assorted colors! Notice the special ornate decorations on that skirt? That is why I added some sequins and Liquid Pearl to add a bit of a wow factor and dimensions. You MUST (yes, must!!) check out the guest designer (someone famous!!) and my DT mates inspiring projects for this challenge (see here). The projects for this challenge are due by Friday, July 26th at 11:59pm E.
Lastly I am sharing a Ryan pic with you. It was Dr. John that came up with the caption. Isn't it hilarious? To answer Ryan's question, it's an absolute YES! 2 Winners... and a CAS-ual Fridays Card!